The Epistle of James is a letter from James, who was likely the brother of Jesus. He was writing to a group of 1st century Christians, who were having to figure out what it meant to follow Jesus while dealing with a lot of problems. 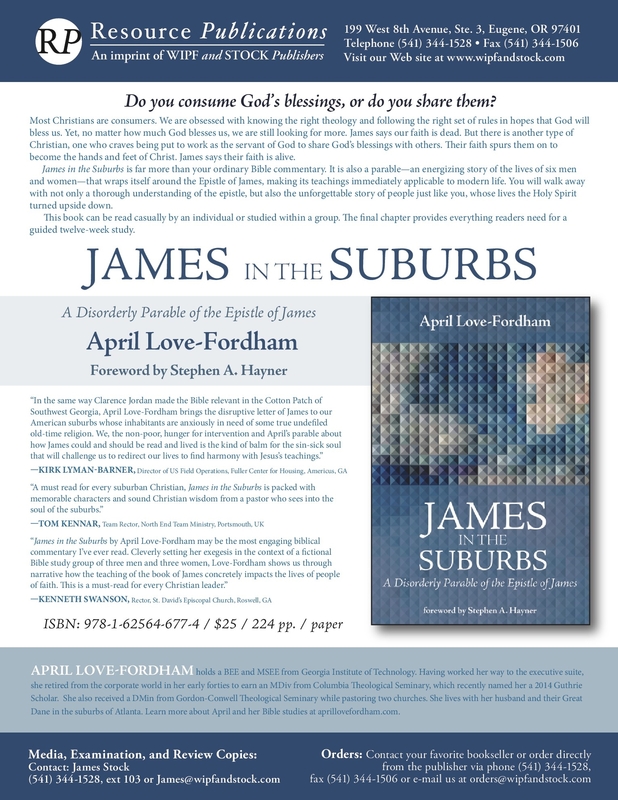 Around the study is wrapped the story of six men and women living in the suburbs of Atlanta, Georgia whose lives were turned upside down by the teachings of James. Click here to print out a flyer for this book or here to read the first three chapters (compliments of Wipf and Stock Publishers).